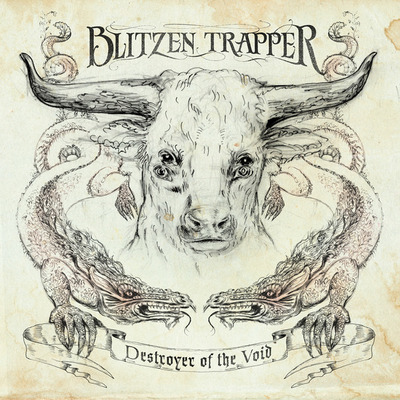 Blitzen Trapper is based in Portland, OR. There are six of them in the band and they’ve been together since 2000. Over the course of their four full-length albums to date, including their revelatory 2008 Sub Pop release Furr , front man Eric Earley’s considerable poetic talents and his band’s hard-earned chops have gained them a growing international audience. The band’s continuing exploration of American music that spans from the ‘60s folk movement to the country sounds of the ’70s, to the pop balladry and prog rock of the ’80s has earned it notice ranging from Rolling Stone magazine to late-night network television to Yo Gabba Gabba , among a great many others. In January 2009 and again in January 2010, Earley and a few of his bandmates entered the attic studio of lauded Portland musician and studio engineer Mike Coykendall (Bright Eyes, M Ward, She & Him) to work on what would become Destroyer of the Void . And the resulting new album takes Blitzen Trapper further than ever before, building on the band’s seamless marriage of the familiar and the fantastic to, literally, create an otherworldly experience.